The LORD is my shepherd, I lack nothing. he leads me beside quiet waters, he refreshes my soul. He guides me along the right paths for his name’s sake. your rod and your staff, they comfort me. in the presence of my enemies. If there is a biblical recipe or prescription for the good life, it can be found in the words of this psalm. This is a psalm that drips with satisfaction. It oozes with the very fullness of life; it overflows with a quiet peace. There is a mellow ripeness to these words that runs down your chin, lights a spark in your eye, and puts a spring in your step. The first line is the key to it all. Is the LORD your shepherd? If He is, then all the rest follows: the refreshing, the goodness, and the love, simply come trailing along behind Him as you follow in His steps. This is so easy, so obvious; you can miss it, because it seems far too simple. We live in a world that is in feverish pursuit of the good life. The self-centered pursuit of happiness has become the crowning, but ever elusive goal. The word ‘pursuit’ says it all. Apparently, happiness is something we are to chase after. Can happiness be found in a host of products, devices and programs? 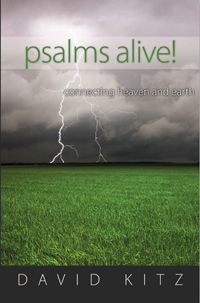 What a profoundly different model for the good life is found within the words of this Psalm. The good life, which in our hearts we all seek, is anchored in the Good Shepherd. Jesus is that Good Shepherd. Listen to his words, “I am the good shepherd; I know my sheep, and my sheep know me” John 10:14 (NIV). It is in following Him, rather than following our own desires, that happiness comes. There is an abundance that comes into play the moment we surrender our stubborn will to the Good Shepherd and then begin to follow Him with our whole heart. Response: O LORD my God, I want to follow after you. Dear Jesus, be my Good Shepherd, now and throughout this life that you have given me. I love you because you first loved me. I want the good life that comes from following you. Amen. Your Turn: Why do self-centered pursuits leave us feeling empty?